Postdoc Chemical Engineering + Materials Research Laboratory. In 2011 I moved to the Van `t Hoff Laboratory for Physical and Colloid Chemistry at Utrecht University (UU) to start my Ph.D. supervised by Prof. Willem Kegel. My Ph.D. research was focused on the synthesis of colloidal model systems for self-assembly studies and led to the development of a variety of colloidal particles with novel geometry and/or surface functionalities (see Research). After defending my thesis, Isotropic and Patchy Colloids with Engineered Surface Functionalities, I did a short postdoc at the Van `t Hoff Laboratory in collaboration with Dr. Ivan Rehor and Dr. Burak Eral on using microfluidic stop flow lithography for the preparation of thermo-responsive, arbitrarily shaped (colloidal) objects. 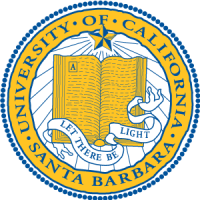 In 2016 I went to the University of California – Santa Barbara (UCSB), where I am currently working as a postdoctoral research fellow in collaboration with the groups of Prof. Craig Hawker (Polymer Chemistry, Materials Research Laboratory) and Prof. Matt Helgeson (Complex Fluids, Chemical Engineering) on the synthesis and self-assembly behavior of well-defined star polymers. Additionally, in close collaboration with the Mitsubishi Chemical - Center for Advanced Materials (MC-CAM) located at UCSB, I work on developing polymers with well-defined topologies and functionalities as next generation multi-functional rheological modifiers for (automotive) lubricant applications. 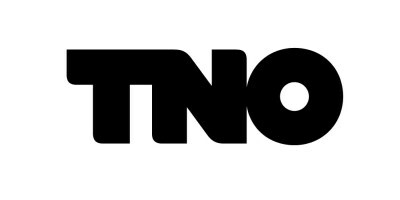 In November 2018, I started as Junior Scientist at the Materials Solutions Department of The Netherlands Organisation for Applied Scientific Research (TNO). Here I employed my expertise on polymer chemistry and physical chemistry for the development of new material concepts for a wide variety of industrially and societally relevant problems, include efficient heat storage, extraction of geo-thermal energy, and advanced sensor applications. By closely collaborating with academia and industrial partners, I am able to bridge the gap between fundamental knowledge and applied science.